National design and manufacturing company Keech Australia has opened a new Innovation and Quality Centre in Bendigo. The Centre will be a temporary location for Keech’s Innovation Team while the company’s new Manufacturing and Innovation Centre is developed, explained CEO Herbert Hermens. “Due to lack of space, our design engineers and quality assurance staff were located in various places around Bendigo. This new Innovation Centre means we can now bring them together in one location so they can work collaboratively,” said Mr Hermens. Keech’s new Innovation and Quality Centre houses its Innovation Division, which is set click on this link www.cialisdailyuse.com to grow with the introduction of new traineeships currently on offer to Year 12 graduates. Their first trainee, Rhiannon Jenkins, has recently commenced work and is looking forward to operating from the new Centre, according to Innovation and Quality Manager Dr Bala Hebbar. “The trainees undertake hands-on work with our Quality Assurance Team in the Innovation and Quality Centre while they study for a Diploma of Engineering – Technical at Bendigo TAFE,” said Dr Hebbar. 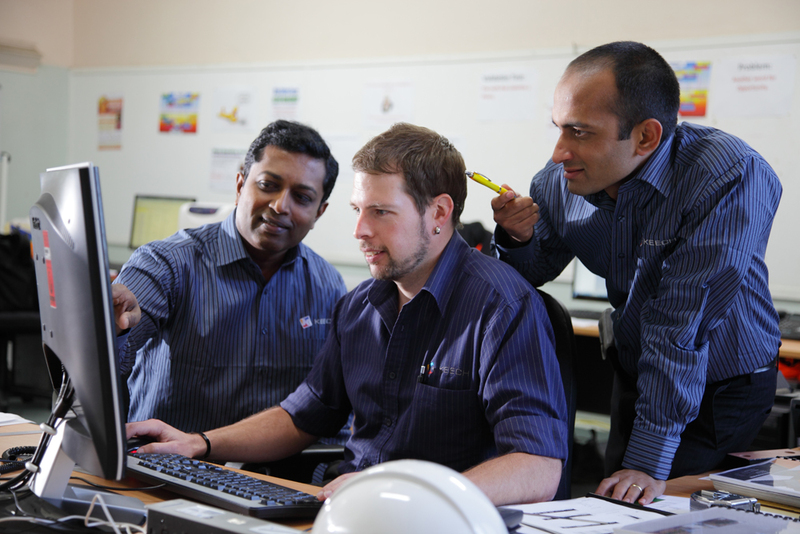 According to Herbert Hermens, the unique mix of talent now working at Keech allows the company to be far more proactive in identifying and solving customer challenges on mining sites around Australia. “We’ve recently appointed a field engineer who liaises with clients on their worksites to help identify improvements and solve their specific issues and challenges with equipment and maintenance processes. And back at our Innovation and Quality Centre is a great blend of engineers, innovators, patternmakers and QA specialists who make Keech products and services even more customised for our clients,” said Mr Hermens. Keech Australia has operated since 1934, producing high integrity steel castings for both national and international mining, excavating, construction, agricultural, rail transport and defence industries. The company is planning a major expansion later this year, which will include a new state-of-the-art Innovation and Quality Centre, following the purchase of another site in East Bendigo. Keech has recently established a business in Chile and is preparing to launch a new Australian division to supply and maintain mining equipment. “Keech is now a technology company and solution provider – rather than the manufacturer we used to be,” said Mr Hermens. “We’ve come a long way in the past few years and worked hard on developing a culture of excellence that is now paying dividends for the company. We’re now able to attract the best people through our commitment to training and development, and fully utilise their skills through our Innovation and Quality Centre. “With our own design, manufacturing, innovation and marketing in-house, the resulting products and services we’ve developed really demonstrate to our customers and to our employees that Keech is serious about being an industry leader,” concluded Mr Hermens.